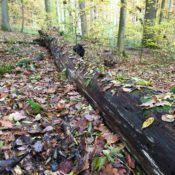 On 30 November 2016, the European Commission presented a proposal for a new sustainability criteria for forest biomass as a part of the “Clean Energy for all Europeans” package. 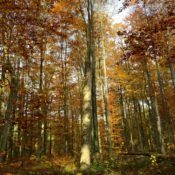 EUSTAFOR and the Confederation of Private Forests (CEPF) immediately reacted with a Joint Press Release, reiterating their concerns over the introduction of a new system for forest biomass sustainability and highlighting that forests and their products are part of the solution towards a low-carbon bioeconomy. 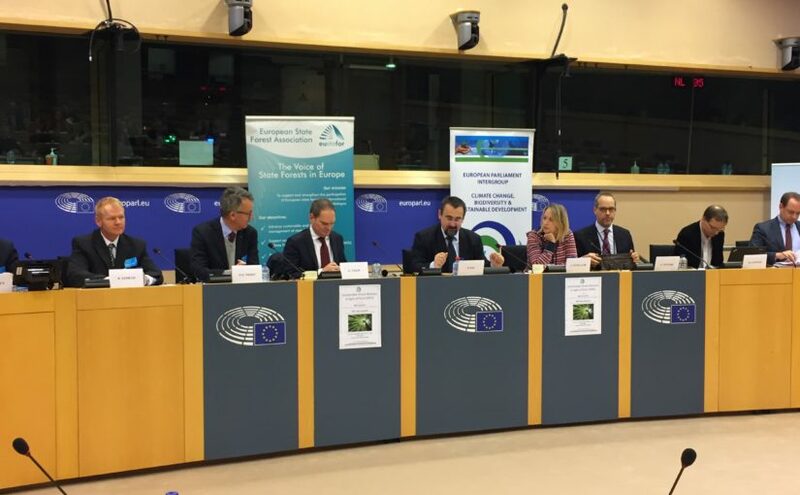 The following day, members of EUSTAFOR spoke at an event, hosted by two Members of the European Parliament, on the topic of sustainable forest biomass. Not exceeding the long-term production capacity of the forest. These requirements would be assessed on the basis of national and subnational legislation and tools in place. If no evidence exists, management systems at forest holding level would be taken into account. The effectiveness of the approach would then be verified by 31 December 2023 by the European Commission. 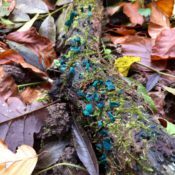 The day after the publication, on 1 December 2016, European state forest managers, members of EUSTAFOR, provided evidence of the sustainability of forest biomass at the Intergroup Conference “Sustainable forest biomass in the light of COP21 (Paris)” in the European Parliament. The role of forests and woody biomass within the EU policy framework on climate and energy was discussed (EUSTAFOR Press Release). The event was co-hosted by MEP Pavel Poc (CZ, S&D), Chair of the European Parliament Intergroup on “Climate Change, Biodiversity and Sustainable Development” and MEP Jytte Guteland (SE, S&D), Member of the Committee of Environment, Public Health and Food Safety. In addition to the two MEPs, the panel was composed by representatives from the European Commission (Giulio Volpi, DG ENER and Andrea Vettori, DG ENV), the scientific community (Marcus Lindner, European Forest Institute), and members of EUSTAFOR Per-Olof Wedin (President of EUSTAFOR), Olof Johansson (Sveaskog, Sweden), Daniel Szórád (CEO, Lesy České Republiky), Pentti Hyttinen (CEO, Metsähallitus, Finland) and Roland Kautz (Österreichische Bundesforste, Austria). 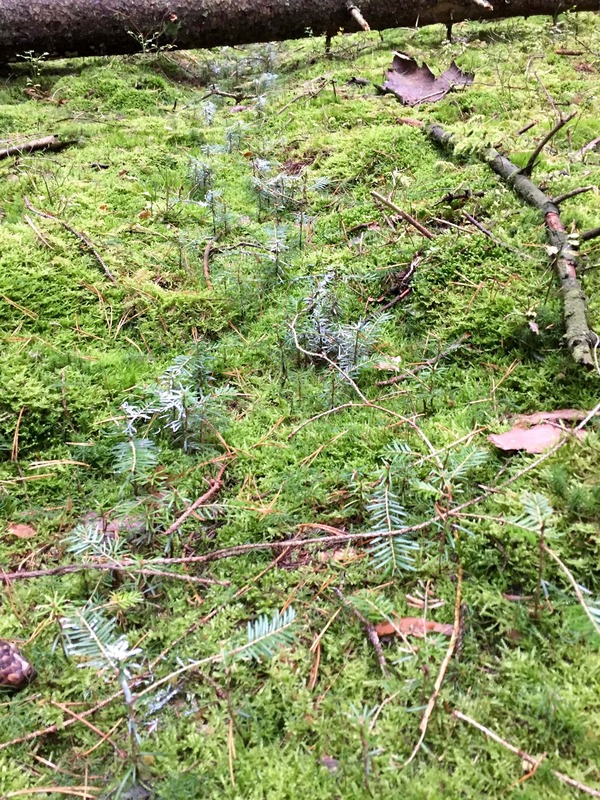 A brief statement on forest-based climate change mitigation and adaption measures in Landesforst MV (State of Mecklenburg-Western Pomerania, Germany) was distributed. Click the following link to consult the presentations and other materials from the event. The seminar “Sustainable use of bioenergy” was hosted by MEP Christofer Fjellner on 7 December 2016 at the European Parliament and it consisted of a discussion with the presence of Emma Berglund (CEPF), Giulio Volpi (DG Energy), Gustaf Egnell (Swedish University of Agricultural Sciences), Anders Wijkman (Club of Rome & Environmental objectives council of Sweden), Magnus Kindbom (Federation of Swedish Farmers), and Mårten Larsson (Swedish Forestry Industries Federation). A short summary of the seminar is available at this link. Salvatore Martire (EUSTAFOR) was present at the event. On the basis of the outcome from the European Commission, EUSTAFOR’s Executive Committee is working to develop the position of state forests (more information at this link). The Conference “Jobs, Development, Social Inclusion and Climate Change Migration in the Mediterranean: The transformative power of the Forestry and Environmental Sector” co-chaired by MEP Santiago Fisas Ayxelá, MEP Francesc Gambús and Tomas Matraia (International Cooperation and Development Expert,) was held last 16 November 2016 at the European Parliament in Brussels. Salvatore Martire (EUSTAFOR) participated in the conference which focused on the launch of The NODE – Node for Opportunities, Development, Environment as a first output of the MENFRI (Mediterranean Network of Forestry Research and Innovation) Project. The MENFRI project has worked to promote innovative Mediterranean forest management and conservation by sharing knowledge between the northern and southern Mediterranean, with the aim of facilitating the creation of jobs, sustainable development and social progress. The NODE uses a multidisciplinary approach combining policy advisory capacities with market opportunities, knowledge, training and people’s empowerment in order to provide tailored sustainable development solutions in the forestry and environmental sector. You can find a video-summary of the event with video-interviews, the main quotes of the event, an article, a selection of photos and the PowerPoint presentations. 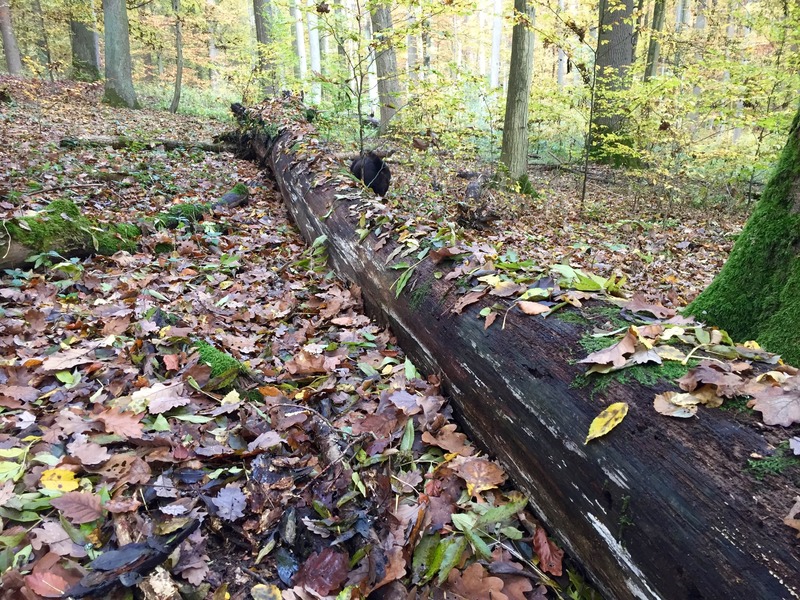 Is EU policy on introduced tree species needed? 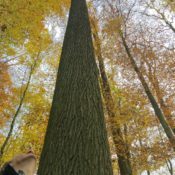 A conference on “Introduced tree species to European forests: challenges and opportunities”, organized on 5 December 2016 in Brussels, brought together scientists, practitioners and policymakers in order to discuss the effects of introduced and invasive tree species on European forests. 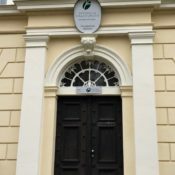 The event was held within the framework of the In-tree project whose main aim is to collect information and enhance knowledge on the topic of introduced tree species in the European context. Deliverables of the In-Tree project, funded by the German Federal Ministry for Food and Agriculture (BMEL), are the book “Introduced tree species in European forests: challenges and opportunities” and the policy brief “A forest pest is not always a forest pest.” At the conference, a series of presentations were delivered, followed by discussions. Spyridon Flevaris (European Commission, DG ENVI) presented the EU Regulation 1143/2014 on Invasive Alien Species (IAS). IAS are defined as animals and plants that are introduced accidently or deliberately into a natural environment where they are not normally found, with negative consequences for the environment. The regulation came into force on 1 January 2015. The Commission, together with Member States, manages the initial list of IAS. The list is compiled with the support of a scientific forum composed of experts nominated by the Member States. No tree species have been included on the initial IAS list, however, the Commission is working on a second list that might include tree species. Giuseppe Brundu (University of Sassari) presented the “Code of Conduct for Planted Forest and Invasive Alien Trees,” which is being developed by the Council of Europe. The Code of Conduct is a voluntary and non-binding code of “best practices”. It also serves as a generic tool and translated versions should be adapted at the Member State level. A lack of information was mentioned as a main barrier to reaching a common understanding among participants. A further hindrance is a lack of consensus as regards terminology (e.g. “native” or “non-native” species). There is no clear, strong and common understanding of the benefits of introduced species, how introducing species could help to face climate change, and what the risks of invasive alien species are. Policy on this topic is essentially based on risk assessment methods. However there is a degree of uncertainty of the results of these assessments in terms of which species may fit better in a specific environment. For this reason, it may be questionable to define “black or white” (forbidden or allowed) lists of species at EU level. The lists would need to be constantly updated with new knowledge and environmental conditions, as well as take into consideration socio-economic aspects. Moreover, climate change has an impact in terms of uncertainty and it needs urgent and sometimes risky responses to adapt forest ecosystems. In conclusion, while it emerged that there is urgency to act for climate change adaptation, no common ground was found for developing new policy at EU level. The most recent stakeholders event on forest reproductive material was organized on 14–15 November 2016, in Madrid (Spain), within the framework of the Horizon 2020 project GenTree. The project aims to optimize the management and sustainable use of forest genetic resources in Europe. Salvatore Martire, from EUSTAFOR’s Executive Office, presented the management and conservation aspects of forest genetic resources in European state forests. The event was attended by participants from key areas related to forest reproductive materials – forest owners, managers and nursery personnel. They discussed with members from the research and scientific communities about possible choices for the prioritization of policies, practices and research in the area of forest regeneration and forest reproductive material. The workshop also focused on presenting the project’s interim results and discussing about the research needs, regulatory gaps, demands for practical guidelines on genetic considerations in the production and use of forest reproductive material in Europe. EUSTAFOR’s presentation explained how the management and use of forest genetic resources is exercised within Sustainable Forest Management and presented best practices in this field derived from European state forests. 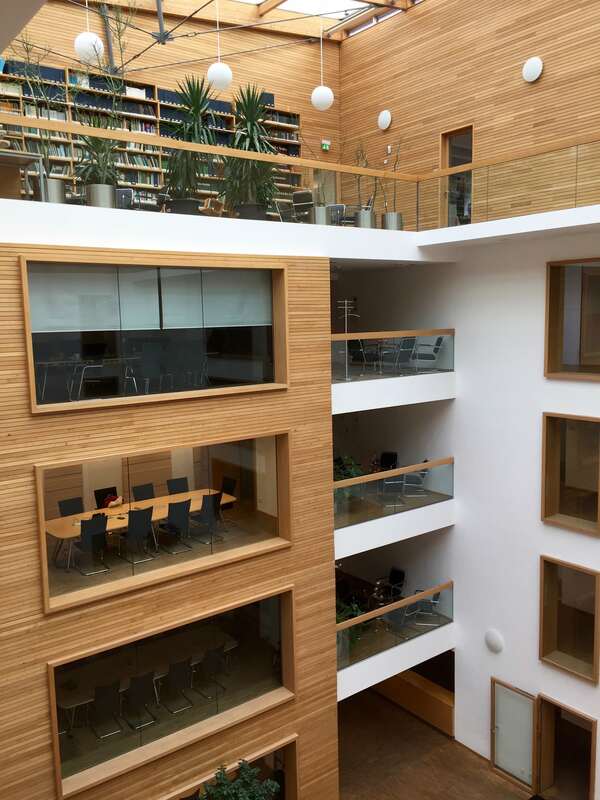 Main inputs by Bayerische Staatsforsten (Bavaria, Germany), Metsahallitus (Finland), and ONF (France). The ThinkForest event “Building an innovative and resilient forest bioeconomy” was held at the International Press Center, Brussels, on 15 November 2016. The event was chaired by ThinkForest president Göran Persson and was hosted by MEP Miapetra Kumpula-Natri. The forest-based bioeconomy could offer more potential for sustainable growth and new investments in the EU. 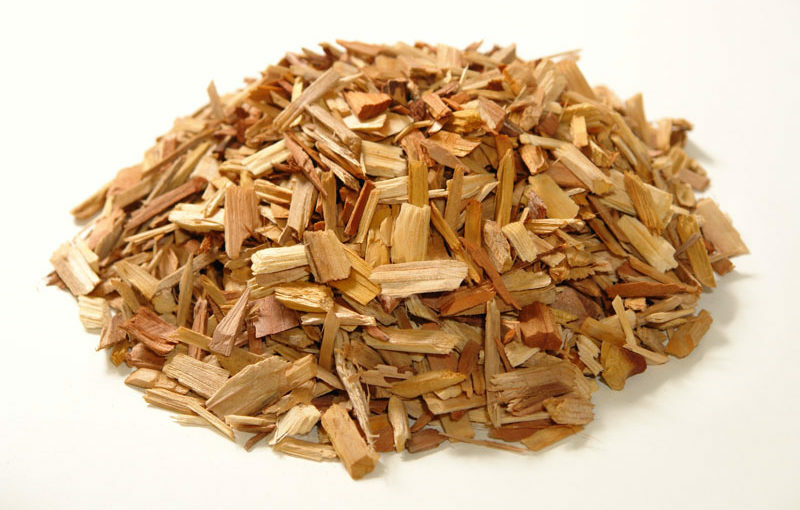 Technical progress now allows the conversion of biomass into a broad range of novel products. Research and innovation are crucial for developing the forest-based bioeconomy in the EU. Advanced wood-based materials and chemicals are expected to play a major role, providing opportunities to maintain and create jobs and income. These were the messages delivered by Jyrki Katainen, European Commission Vice-President for Jobs, Growth, Investment and Competitiveness, in his keynote speech at this event. Other speakers reflected on how new technologies could bring “added value.” Wood for biofuel can be a transition technology but there are much better technologies around the corner. 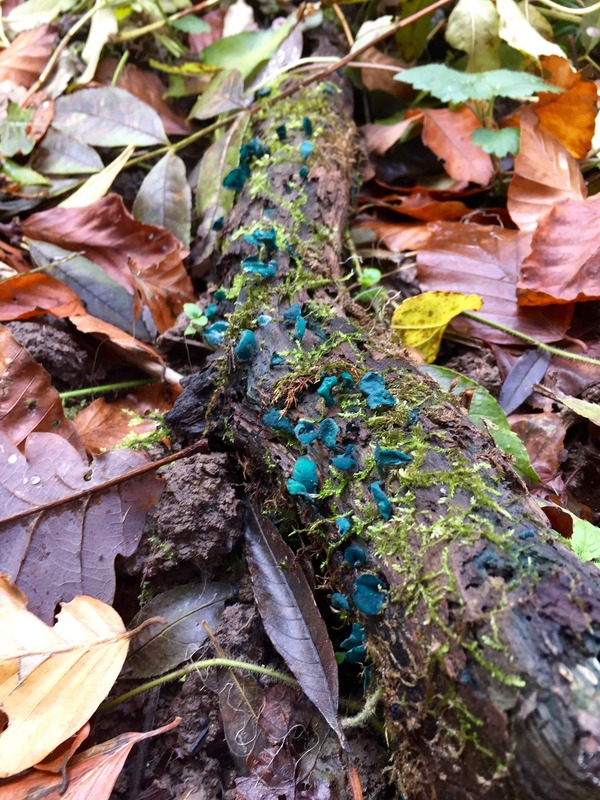 The future is forests which provide ecosystem services, value-added materials (e.g. engineered wood) and innovative consumables like bioplastics. 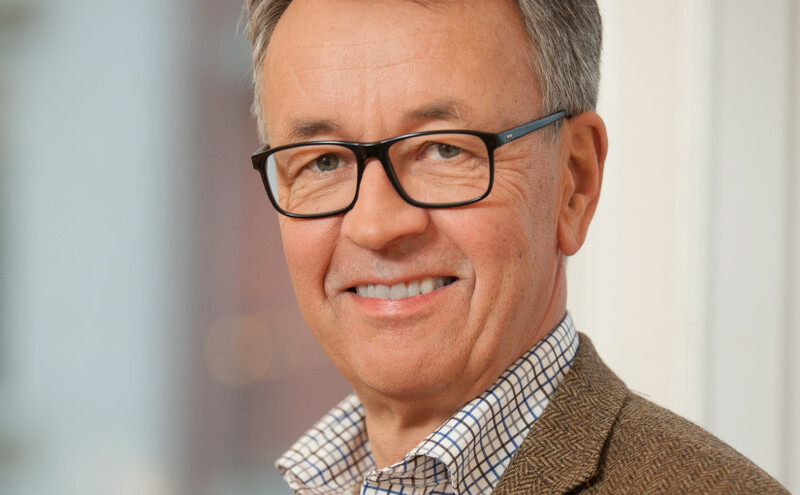 New technologies and innovation could create “bioeconomic diversity,” providing more options and building more sustainable value and jobs close to the ground, said John Bell, Director of Bioeconomy, DG Research and Innovation in the European Commission. The European Forest Institute’s most recent From Science to Policy study provided the background for these discussions. The following links provide the recording of the event, a detailed program and presentations from the event. The EU Forest Directors General adopted the Bratislava Declaration “EU Forest Strategy: a new impulse on a way forward” at their informal meeting organized by the Slovak Presidency of the European Council on 7-9 November 2016 in Bratislava. The document calls on the European Commission and the EU-Member States as well as other stakeholders to continue fulfilling the objectives of the EU Forest Strategy and the Multiannual Action Plan in the broader context of policies such as the EU’s climate and energy framework until 2030, the EU Biodiversity Strategy 2020 and the FLEGT Action Plan on combating illegal logging of timber and related trade. EUSTAFOR was present at the meeting. In their declaration, the Forest Directors General underline the key role of forest research and innovation in supporting policy ambitions of the sector, including those related to the current challenges of the bioeconomy and the wider green economy. Referring to the role of forests on the 2030 climate and energy framework, they underlined the need for careful analyses and thorough discussion of the LULUCF proposal in order to ensure that the accounting methodologies applied will help to promote sustainable forest management and the use of wood products as well as promote the role of woody biomass in climate change mitigation. The directors also acknowledged the Prague Declaration on Forests, signed during the Conference on “Integration of Biodiversity Enhancement in Sustainable Forest Management in the framework of EU Forestry Strategy” organized by the Czech Republic and Germany on 7 October 2016 in Prague. The Bratislava Declaration recognizes an important milestone achieved in the implementation of the FLEGT Action Plan and the progress in developing Voluntary Partnership Agreements between the EU and timber-producing countries from outside the EU. Considerable attention was given to the political mandate and timeline established by the Madrid Ministerial Decision from the FOREST EUROPE Extraordinary Ministerial Conference in 2015 with regards to the legally binding agreement (LBA) on forests in Europe. 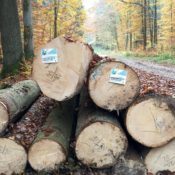 The declaration stresses the need for timely EU preparations ahead of the FOREST EUROPE Round Table Meeting in early 2018, including clarifying the EU position on the legally binding agreement. The Bratislava declaration acknowledges that the EU Forest Strategy is the basic strategy document of EU policies aimed at promoting sustainable forest management in the EU and its Member States. It further stresses the role of the Standing Forestry Committee as the central coordinating body for its implementation at the EU level. The meetings of the EU Forest Directors General are generally organized by each presidency of the European Council to provide the representatives of the forestry administrations of Member States and the European Commission, as well as stakeholder representatives, an informal platform for discussions on current policy topics. The event was co-organized by the State Forests of the Slovak Republic, an active member of EUSTAFOR. Executive Director Piotr Borkowski represented EUSTAFOR at the meeting. In its capacity as a shareholder, EUSTAFOR took part in several meetings in November 2016 to follow up on the work done by FTP. Piotr Borkowski, EUSTAFOR’s Executive Director, attended the FTP Board Meeting. Salvatore Martire, from EUSTAFOR’s Executive Office, attended the FTP Advisory Committee and the FTP Communications Group Meeting. FTP’s Board Meeting on 22 November 2016 focused on discussing ongoing activities in which FTP is involved. These involve the implementation of the 2050 Vision and Roadmap for European Raw Materials (VERAM), participation in the European Bioeconomy Panel, continued work on the Bioeconomy Manifesto, and the review of the EU’s Bioeconomy Strategy. There were further discussions on the status of Horizon 2020 Work Programs 2018–2020, the interim evaluation of Horizon 2020 and the FTP Action Plan for the upcoming EU Research Framework Program as well as on the internal FTP communication, financial and work plans for 2017. On behalf of EUSTAFOR, Salvatore Martire gave an overview of main topics that are currently of high importance in the policy agenda. The FTP Communications Group Meeting was held on 23 November 2016. The meeting gathered FTP and FTP-affiliated organization representatives to discuss communications strategies, audiences, hot topics for 2017 and communications plans. The FTP Secretariat invited to reply to the Public stakeholder consultation – interim evaluation of Horizon 2020. Also, FTP presented its main deliverables and performance for 2016. More details can be found in the most recent FTP newsletter. On 18 November, Vietnam was the second country, after Indonesia, to reach a Voluntary Partnership Agreement with the EU on “Forest Law Enforcement, Governance and Trade” (FLEGT). The Regulation on FLEGT was adopted by the EU in December 2005, and is implemented through Voluntary Partnership Agreements (VPA) which include commitments and action from both parties to halt trade in illegal timber, notably with a license scheme to verify the legality of timber exported to the EU. A FLEGT VPA represents an important tool for law enforcement and legality. It takes into account country-specific legislation as well as the involvement of stakeholders and communities. However, FLEGT has no provisions to tackle the legal drivers of deforestation such as commercial agriculture. In other words, it does not rule out the fact that it is caused by the large-scale legal clearing of species of tropical rainforests such as palm oil plantations. More synergies with Sustainable Forest Management tools and other actions, such as REDD+, should be put in place in order to ensure truly sustainable timber from outside the EU. Indonesia is one of the world’s largest exporters of tropical timber and the EU is the largest market for Indonesian timber products. Already 2 ½ years ago, a Voluntary Partnership Agreement (VPA) between the EU and Indonesia was signed. The amount of illegally harvested timber exports from Indonesia has significantly decreased since the signature of the agreement, according to a Commission press release. 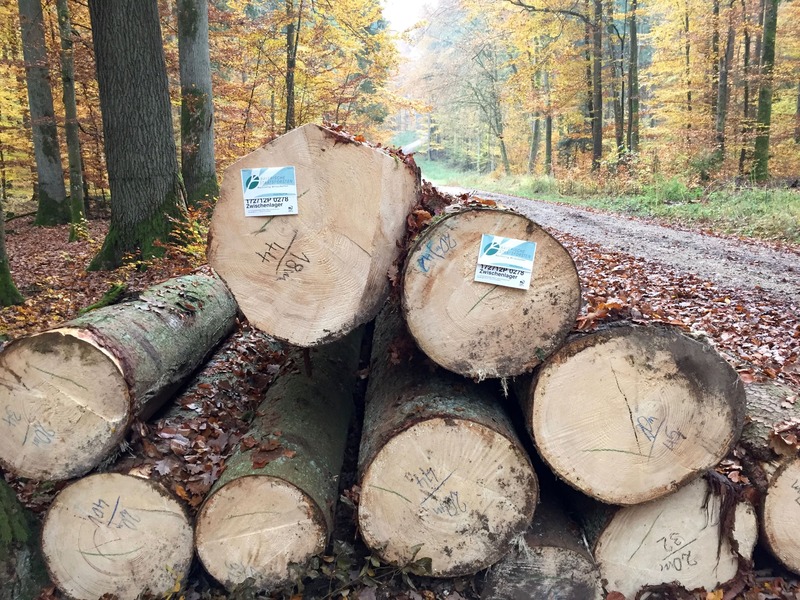 With the support of the EU, a control system was developed to ensure the traceability and legality of all timber imports into the EU through the use of a FLEGT license. The monitoring of the approval system is carried out by independent third parties. Indonesia became the first country whose licensing scheme has been recognized by the EU. This exempts the importer from additional European Timber Regulation (EUTR) due diligence. On 18 November 2016, Vietnam and the EU also in principle on a FLEGT Partnership Agreement, to be signed next year. A further five African countries have already signed partnership agreements with the EU, but their legality detection systems are still being developed. Negotiations continue with many other countries. At the end of this very busy and remarkable year in which EUSTAFOR celebrated its 10-year anniversary I would, on behalf of myself and the members of the Executive Committee, like to take a moment to express our gratitude to the entire EUSTAFOR family for supporting our efforts to strengthen the voice of our association in the European policy arena and to raise awareness about the benefits European state forests have to offer! Over the past years, EUSTAFOR has become more visible towards the European institutions and Brussels stakeholders and we are fully aware that our association could not be such a success if we could not rely on the assistance of those who have devoted so much time and effort to supporting our endeavors. This anniversary year was launched in June 2015 during the European State Forest Conference in Rovaniemi, Finland. 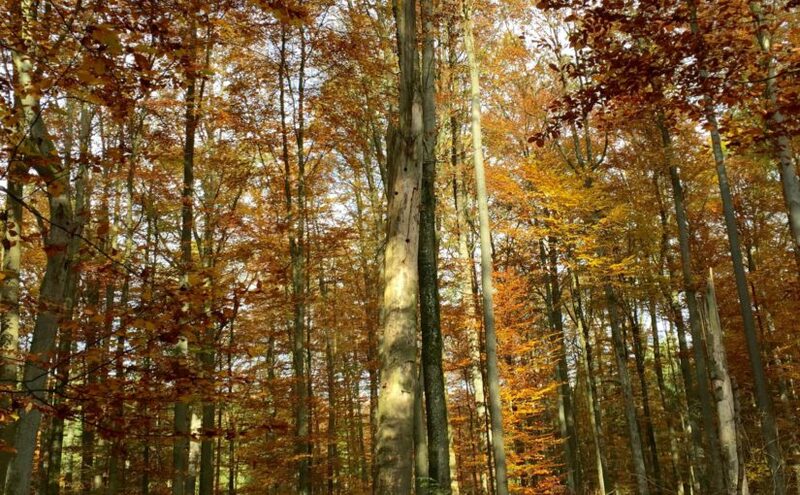 The main events, under the common title “Managing European Forests Responsibly for People, Climate and Nature,” took place in Brussels, back-to-back with the association’s General Assembly in April 2016. 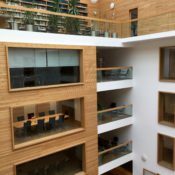 A conference was hosted by the Chairs of three EP Committees (Agriculture, Environment and Industry) followed by a forest exhibition in the European Parliament, a reception in the European Forestry House and a field trip to the Sonian Forest. All this was possible thanks to significant contributions from our members from Lasy Państwowe (Poland), Natuurinvest (Flanders, Belgium), Latvijas valsts meži (Latvia) and Bayerische Staatsforsten (Bavaria, Germany) as well as ThuringForst (Thuringia, Germany) and Metsahallitus (Finland). The anniversary year officially ended with a beautiful cake presented by Forest Enterprise England, hosts of the European State Forest Conference which took place in the beautiful Lake District in June 2016. EUSTAFOR’s 10-year anniversary events were remarkably well-attended, which emphasized the breadth and high-level commitment of our members, forest-based stakeholders and EU policy makers. Our association has greatly strengthened the connections between its members and between the members and our office in Brussels and we believe that, as a result, EUSTAFOR’s members are becoming more aware of the collective impact their input has on the European forest policymaking process. The proof of our association’s success is its continuously growing membership. We are looking forward to welcoming new members from Slovenia, Saxony and the Ukraine as of 2017! We sincerely value your expertise and participation and we remain eager to continue our cooperation on the many important forest-relevant issues which are already now being developed for the coming decades. We wish you a prosperous New Year 2017. The 3rd Plenary Meeting of the Expert Group on Forest-Based Industries and Sectorally Related Issues, of which EUSTAFOR is a member, was held by the European Commission (DG Growth) on 14 November 2016 in Brussels and discussed current developments of importance for Forest-based Industries (F-BI) in the EU. 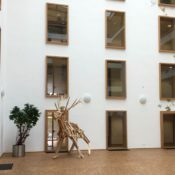 A wide range of topics were covered including, among others, plans to consult stakeholders on two issues concerning the preparation of a Cascade Guidance Document and an interim evaluation of Horizon 2020, the results of several Commission studies concerning forest-based industries, as well as stakeholder presentations on good practices for secondary raw materials (paper, wood, waste wood and biomass waste). Elaboration of guidance on cascading use has been announced in the Circular Economy Action Plan (2015). Based on the final report of the Cascade Study the Commission will develop a Staff Working Document (SWD) with good practices. The good practices on waste paper collection of the Confederation of European Paper Industries will be taken into account. The SWD will be practical and concise and will not deliver a new policy or legal requirements. It will be coherent with existing EU strategies and legislation. Its objective will be to assist Member States in designing and implementing their policies. improving recycling, paper streams, construction, demolition, packaging (wood) – how much reference could be made to the circular economy package? In the course of working on this issue the Commission will organize a workshop for representatives of the Member States and stakeholders to ensure adequate consultation and transparency. DG Research and Innovation (RTD) has launched a public stakeholder consultation on the interim evaluation of Horizon 2020. 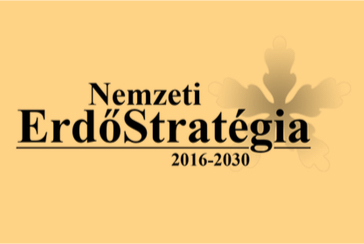 The objective of the consultation is to collect information from a wide audience on different aspects of Horizon 2020 implementation. The results of this consultation will feed into the report on the interim evaluation of Horizon 2020, will help to improve the implementation of Horizon 2020 and will set the scene for future discussions on the next EU research and innovation funding post-2020. The consultation is open until 15.01.2017 under this link. The main objective of the study (by BOKU and EFI) is to look into the impact of EU legislation on costs, in particular on pulp and paper and manufacturing industries. The final report is available under this link. Commission’s study on the Energy Saving Potential of Increasing Resource Efficiency (link). Further details are available under this link. Salvatore Martire, from EUSTAFOR Executive Office, was invited to join an AEBIOM (European Biomass Association) workshop on communications that was held on 29 November 2016 in Brussels. He presented key aspects related to economic, social and environmental benefits of managed forests and the use of wood as well as communications challenges facing the forest-based sector. The first part of the workshop was dedicated to the exchange of practices and views from different perspectives. Representatives of the biomass (AEBIOM) and forest-based (EUSTAFOR) sectors were joined by industry representatives for bioethanol (ePURE) and biogas (EBA). The second part of the workshop consisted of a seminar about the perspectives of journalists and the media. Particularly, the seminar focused on how to write more effective press releases. The event was a great opportunity to strengthen cooperation between actors and stakeholders in the renewable energy sector. 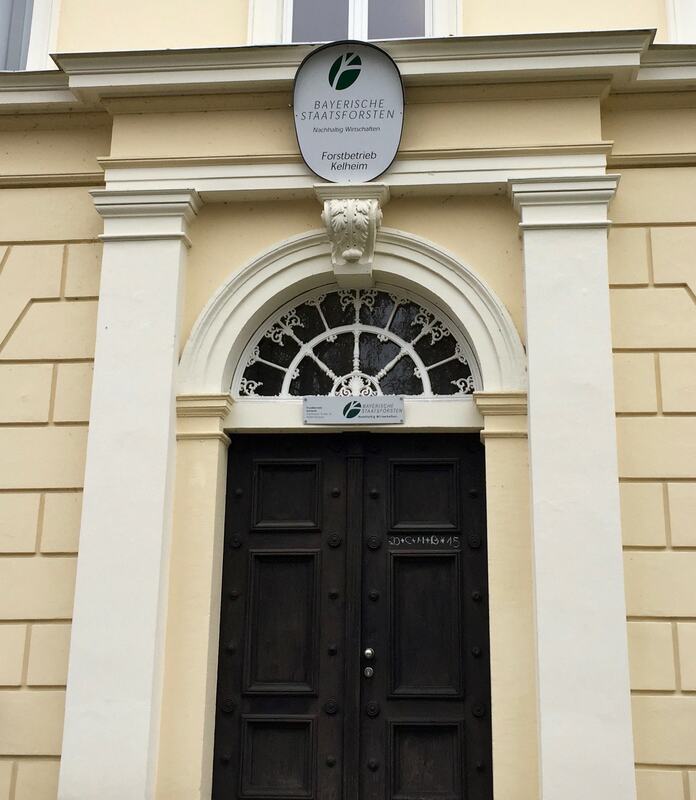 EUSTAFOR’s Executive Director visited Bayerische Staatsforsten (BaySF) on 3-4 November 2016. 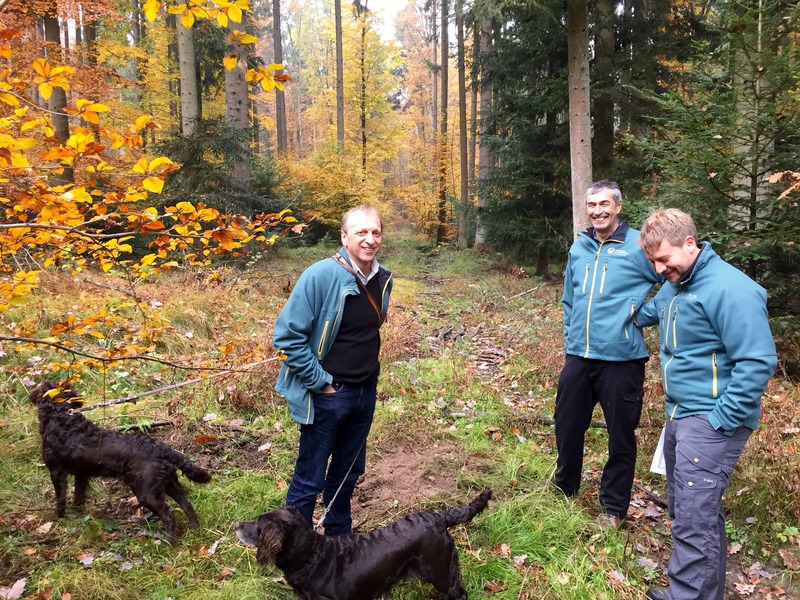 The visit provided an excellent opportunity to learn about the everyday experiences of Bavarian State Forests in practicing sustainable forest management. These types of visits allow the Executive Director to remain well-informed on the practical aspects of sustainable forest management which need to be included in debates at EU and pan-European levels. The visit took place in BaySF Headquarters (Regensburg) as well as in one of the forest district offices located in Kelheim. 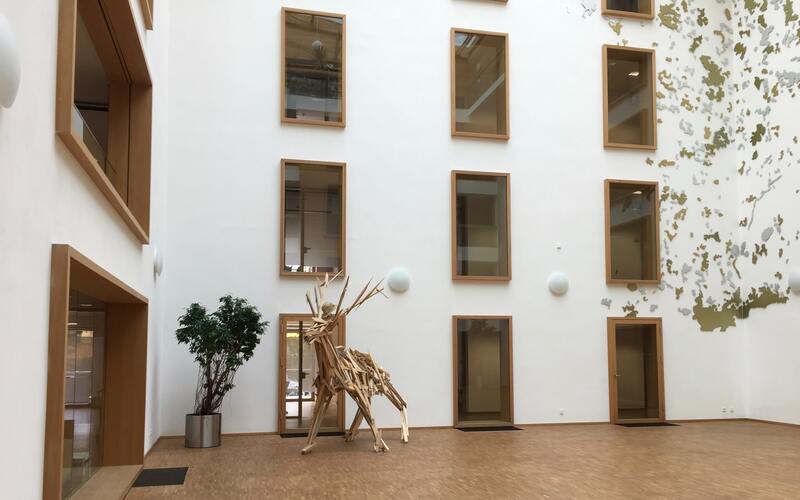 At the headquarters in Regensburg, Mr. Piotr Borkowski met with BaySF staff members: Mr. Johannes Wurm, Mr. Christoph Riegert and Mr. Bernd Vetter who presented BaySF’s institutional structure, basic statistical data and the silvicultural practices applied in Bavarian state forests. More detailed presentations concerned nature conservation in managed forests and challenges for forest management practice related to climate change. Hunting, real estate management and other businesses, such as recreation, remain within BaySF’s statutory practice portfolio. 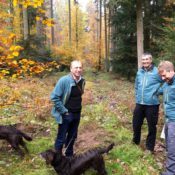 In addition to the annual European State Forest Conference, visits to member organizations allow the Executive Office to maintain direct contact with EUSTAFOR’s members which is why these visits are foreseen in EUSTAFOR’s Work Plan adopted by General Assembly each year. On 7 December 2017 the College of EU Commissioners held an orientation debate on the next steps of the Fitness Check of the Birds and Habitats Directives. The College concluded that these Directives are vital for Europe’s nature conservation policy and no reopening of the legislation is necessary, however, their implementation needs to be improved. The College conclusion goes along with the findings of the extensive evaluation process, the so-called Fitness Check the Commission has been carrying out since late 2014. The evaluation identified the need to improve the implementation of the Directives and their coherence with broader socio-economic objectives, including other EU policy areas such as energy, agriculture and fisheries. Consequently the Commission will develop an Action Plan to correct the deficiencies encountered in the implementation of the Birds and Habitats Directives. The Action Plan will contain a series of concrete measures such as holding regular meetings with mayors and other local authorities to assess implementation challenges and help Member States take the necessary corrective action. Moreover, the Plan will design, in partnership with Member States and relevant stakeholders, appropriate implementation guidelines for regional actors, reducing unnecessary burdens and litigation, and incentivizing national and regional investment in biodiversity. EUSTAFOR was involved in the public consultation of citizens and stakeholders across all EU Member States. The main College conclusions are coherent with EUSTAFOR’s recommendations spelled out in the association’s Position paper published on 8 July 2016, in which EUSTAFOR strongly advocates an improvement in the implementation of the two directives by ensuring a proper role for forest owners and managers and by setting up a sound EU financing instrument to enable compensation for the extra costs. For further information, consult Commissioner Vella’ s statement or click on this link. 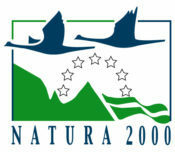 of the Ad Hoc Working Group on Natura 2000 and Forests held by the European Commission (DG ENV) on 7 December 2016 in Brussels. The objective of meeting was stocktaking of Member State and stakeholder experiences with using the guidance document on Natura 2000 and Forests that was broadly described in eustafor.express No 55. Working group members also exchanged views on possible specific issues that would benefit from additional clarification in the guidance document. Furthermore, the Commission presented the “low-hanging fruit” approach to identify habitat types for which progress on improving the conservation status can be achieved more quickly, with special attention for forest habitats, whereas the European Forest Institute (EFI) gave an overview on EFI’s Research and Demonstration Activities related to Integrated Forest Management. Finally the Commission suggested an exchange of views on the future work of the group and its added value, while suggesting bringing other nature protection elements into its scope. The majority of participants, including EUSTAFOR’s representative, Piotr Borkowski, opted for maintaining the current setup of the Working Group. By not introducing new items, overlapping with other bodies operating in the sector, such as the Standing Forestry Committee (SFC) and the Civil Dialogue Group (CDG) on Forests and Cork, will be avoided. The role of forests and woody biomass within the EU policy framework on climate and energy was discussed at the European Parliament at the Intergroup Conference “Sustainable forest biomass in the light of COP21 (Paris)” on 1 December 2016. The event was held one day after the European Commission’s publication of the recap of the Renewable Energy Directive proposal. The conference provided an excellent opportunity for high‑level policy makers from the European Parliament and Commission, representatives of state forest management organizations, the scientific community and other stakeholders to provide their views on the potential of sustainably managed European forests and forest-based products to be at the core of the EU climate change and energy agenda following the Paris Agreement. Representatives from State Forest Management Organizations, members of EUSTAFOR, followed with concrete examples of how state forests promote sustainable forest management and the greater utilization of wood, especially to substitute for other resources and products which are detrimental to the climate. Specifically, the conference included talks by Olof Johansson (Sveaskog, Sweden), Daniel Szórád (CEO, Lesy České Republiky), Pentti Hyttinen (CEO, Metsähallitus, Finland) and Roland Kautz (Österreichische Bundesforste, Austria). 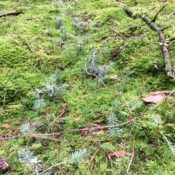 A brief statement on forest-based climate change mitigation and adaption measures in the Landesforst MV and the state of Mecklenburg-Western Pomerania was distributed. 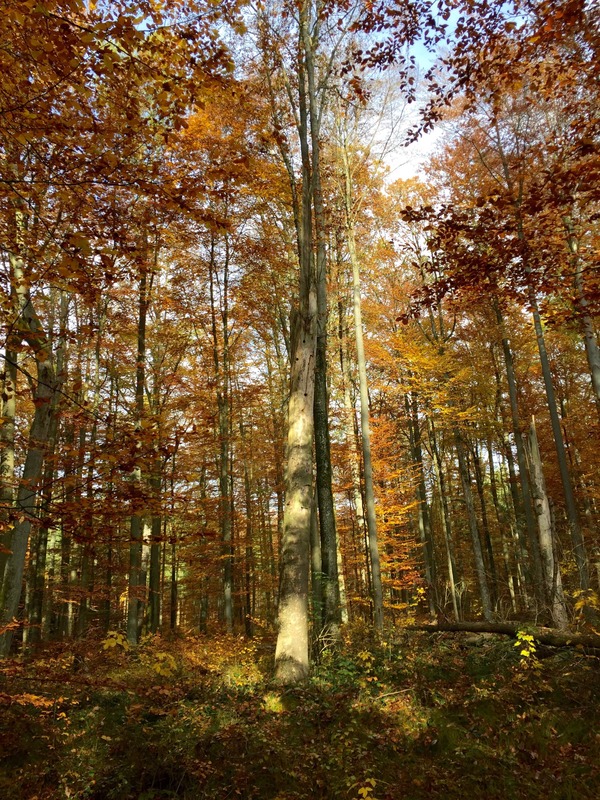 The sustainability of forest biomass needs to be considered in the broader framework of sustainable forest management because the provision of solid biomass for bioenergy is one of many ecosystem services provided by forests. Sustainably managed European forests are a steadily growing renewable resource and play an important role in mitigating climate change due to their significant capacity to sequestrate carbon from the atmosphere and substitute for fossil fuels and highly energy-intensive materials. This contribution cannot continue to be underestimated and should be reflected in post-2020 climate and energy policies. The high environmental standards of sustainable forest management practices are well covered by Member State legislations and authorized management plans. They are consistent with the sustainability principles developed by the FOREST EUROPE process. This is further confirmed through voluntary certification schemes. 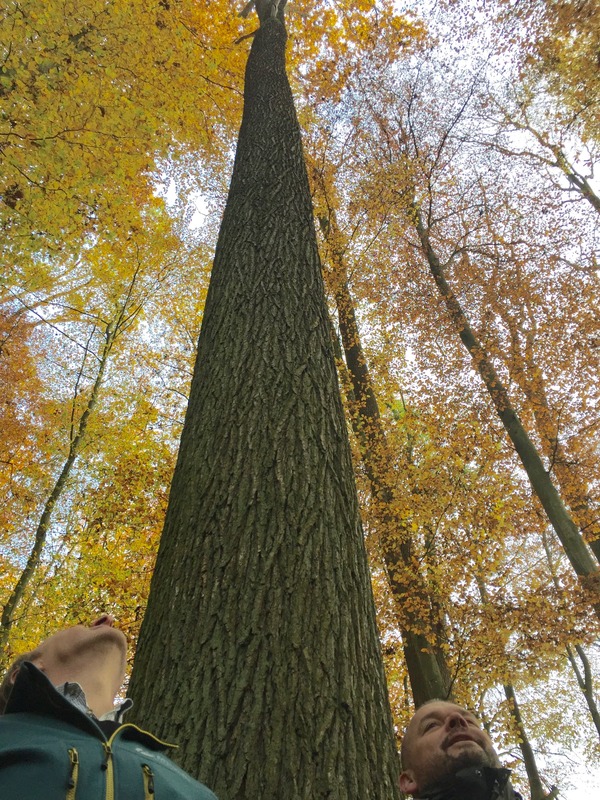 EU policy and decision makers were invited to first look at the capability of existing European and national policies and regulations to ensure the sustainability of biomass sourcing before taking any action on developing a new regulatory framework. If the determination towards regulating the sustainability of solid biomass sources in the framework of the EU bioenergy policy post-2020 continues, pragmatic solutions must be found which would allow these demands to be met while staying within the limits of the already-existing European and national legislations and SFM instruments and tools.